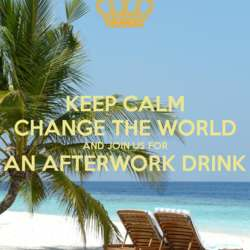 Afterwork Drinks &/Or Dinner ! You must be a member of the Geneva Casual Drinks Group to attend this activity. Would you like to join this group? I hope you have had a good start to the New Year! For the first event of Protected content us in this cosy wine bar in the Old Town. kINDLY REGISTER ONLY IF YOU ARE SURE TO COME AND CANCEL YOUR ATTENDANCE SHOULD YOU NO LONGER BE ABLE TO MAKE IT. We'll send you an email to ask you to confirm, please give a reply or click on the cancel button to leave a space to another member. Looking forward to seeing you on Friday 15th!